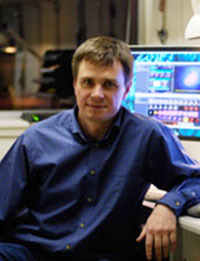 Alexey Vikhlinin is an astrophysicist at the Harvard-Smithsonian Center for Astrophysics in Cambridge, Mass., and a senior researcher at the High Energy Astrophysics division of Moscow's Space Research Institute. After receiving his Ph.D. in Moscow in 1995, Vikhlinin came to the United States where his main research is on X-ray studies of galaxy clusters and their application for cosmology and the physics of the intergalactic medium. He was recently co-awarded the 2008 Rossi Prize from the American Astronomical Society for his work on cluster cosmology and cold fronts. 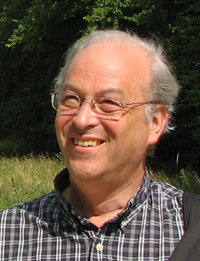 William Forman is an astrophysicist at the Harvard-Smithsonian Center for Astrophysics in Cambridge, Mass. He was an undergraduate at Haverford College and completed his Ph D at Harvard University using X-ray observations from the UHURU satellite. He has continued his research on galaxies and galaxy clusters primarily using X-ray observations from the Einstein, ROSAT, XMM-Newton, and Chandra Observatories. For the Chandra Observatory, Forman developed and managed the Science Mission Planning operations (1991-2006). He was awarded (with Christine Jones) the first Rossi Prize (1985) for detecting hot gaseous coronae around bright elliptical galaxies. 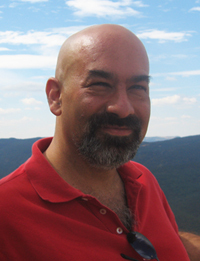 David Spergel is a theoretical astrophysicist and chair of the department of Astrophysical Sciences at Princeton University. Over the past several years, his main research focus has been the results from NASA's WMAP satellite, which has produced a convincing census of the contents of the Universe and erased lingering doubts about the existence of dark energy. He is also part of the new Princeton Center for Theoretical Physics as well as the Institute for the Physics and Mathematics of the Universe. Spergel belongs to numerous professional societies and serves on many advisory boards and scientific review panels.